Wait, is that Ray Wise? 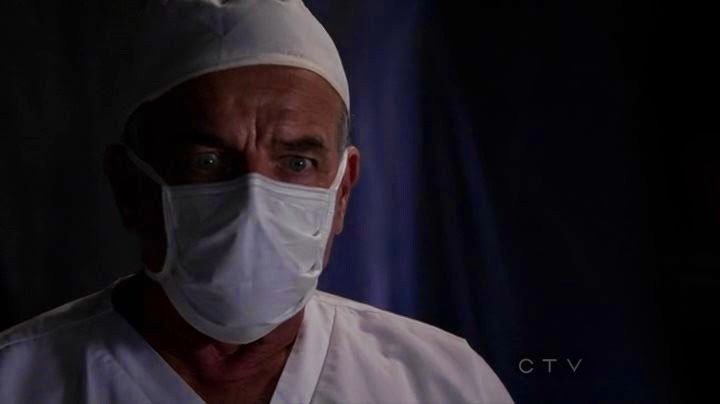 How weird would it be if I could recognize Ray Wise by that little of his face? No, more likely it's just a guy who looks like Ray Wise. Where was I? Right, the doctor and patient look at each other for a moment, then start fighting. Doc is able to overpower the still-groggy patient, then uses a mask to knock him out. We cut to him sometime later, waking up in a hotel room, missing a leg! For a second there, I thought he was just having nightmare about something that happened a while ago, but no - this is a fresh amputation! 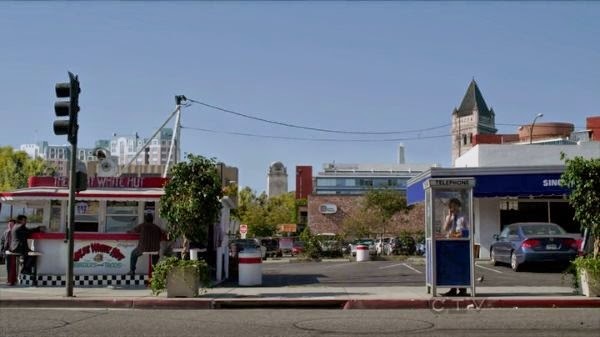 Then we stop by DC, where Reid is on a payphone that's attached to absolutely nothing. Check it out. No wires of any kind. How is he making a phone call? Also, can we pause for a second to feel sorry for whosever job it was to create the pretense that this shot was occurring in DC? 'Oh, we'll just put the Washington Monument in the background, that'll make it look right, won't it? Sure it will - unless you were to, say, completely mess up the transparency of the various layers while doing it, and made that phone line mysteriously disappear. Also, why did you leave in that 15-story apartment building in the background? Do you know noting about DC architecture? This is like the palm trees at the DC train station, or the time you could see the side of a soundstage in the 'French Quarter'. Come on guys, you're being paid money to do a job. A little less half-assing, please? 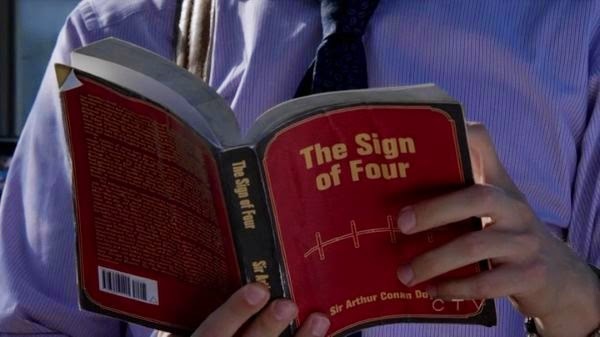 Although that book seems really thick to just be 'The Sign of Four'. Is he reading in super-large print because of those mysterious headaches that were never explained/resolved? 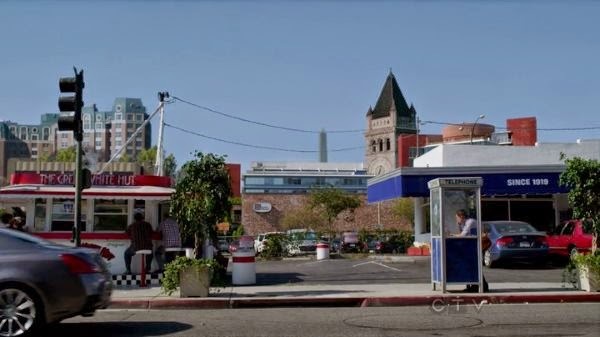 The pay phone then rings and Reid answers it - can you call a payphone? I'd guess he's using some phone-phreak style workaround. Anyhow, on the line is a woman who's puzzled because they normally talk on Sundays. Does Reid have a secret girlfriend? They talk about his headaches, which seems to have gone altogether (thanks for the resolution, show! ), and generally seem to enjoy chatting. And although you can't see it in still photos, the graphics people couldn't get it to move at the same rate as the camera, so there's a stutter to its movements. But enough nitpickery, back to Reid and his lady-friend! Also apparently the 15-story apartment building is fake as well, given how much it's moved. I'm sure the clock tower isn't real either, even though it remains fairly consistent. The show refuses to let us see what phone lady looks like, other than that she has long brown hair. Apparently they've been talking on the phone for six months, but have no idea what each other look like. She is consulting on his condition somehow, because he sent her the MRI of his brain. Then they tell each other to 'be safe', and talk about the possibility that someone 'knows about them'. Does she have a husband who's weirdly protective? Is that who was photographing the team in the season opener? Are none of these things connected at all? In the office, Garcia presents the case- they're going to New Mexico, where someone is snatching guys, cutting off their right legs, and then letting them go! One in a motel, the other, who died in the procedure, was 'let go' in a ditch across the border. How the heck did a guy smuggle a one-legged and sedated man into a hotel without being noticed? Derek asks if this is drug related, what with it being in cartel country, but Garcia claims that both victims said they had no involvement. Which is a weird thing for her to offer, considering that one of the victims is a decomposed corpse. Alex says that since both legs were severed and then professionally sutured, they must be looking for a doctor. This causes Joe to say 'That's a first. ', which makes me sad. First off, this wouldn't be the first serial killing doctor ever. More importantly, you don't need to be a doctor to be able to amputate a limb and sew it shut. Nurses or EMTs should have all the skills necessary. Reid points out that the 'surgeon' didn't even do that good a job, and he's more accurately referred to as a 'butcher'. Good, although it might have been neat if Reid had said 'barber', referring to the medieval practice of guesswork-based surgery. Meanwhile, the killer is dragging another victim out of an ambulance as the groggy man asks what's happening. The killer responds, and based on his voice I can confirm that yes, it is Ray Wise, who I can apparently recognize based solely on his eyes, forehead, and a bit of his hair. Weird. Now here's a digital muzzle flash and sound effect being added to make it look like he's shooting, but his finger never actually makes it to the trigger! Also the slide doesn't move and a shell doesn't eject, but that's all secondary to the finger thing. Alright, time to see what they're thinking on the plane! I feel like that's maybe more than a couple of days worth of decomposition. They discuss whether this could be a profit-based crime, and Derek asks what a leg costs on the black market. JJ doesn't answer, but points out that in 2002 a whole shipment of tendons was sent from South Africa to America for sale to private medical concerns. Which is a great piece of trivia, but without a per-unit valuation, it's impossible to tell whether stealing one leg could possibly be a profitable endeavour. They decide to check every possible point of connection - the fact that the two were both organ donors, the black market possibility - everything. 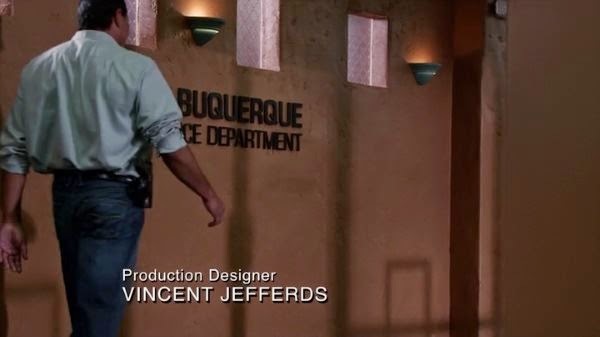 As Greg and Alex enter into the local police station, I'm forced to consider a bizarre set-building choice - is it stereotypical or even racist that when the set builders were working on this week's police station, the decided that in Albequerque there would definitely be one random wall made out of clay for no reason? Or is that what the architecture is actually like in public buildings down there? Anyhoo, Garcia lets Greg and Alex know that there's no way that a doctor could have gotten any information from the organ donor people, since they keep their lists incredibly secure. She almost leans over into the 'protests too much' camp, since it's not like the killer was looking for tissue types or organ matches - he just would have been looking for names. Still, they declare this line of inquiry dead, and head off to talk to a doctor who dealt with the black market. He's currently in jail. Joe and Derek interview the first victim from the episode, who doesn't remember how he was abducted. Joe tries to simple hypnotism, looking for memories of sights or smells he might have noticed while he was supposed to be under. He remembers a garage door - someone has turned a garage into an operating room! Then we head over to the garage, where Ray is interviewing his patient to see if it's safe to use general anaesthesia on him. Which is a pretty nice thing for a crazed killer to do, if you think about it. We're more than a quarter of the way into the episode, and no one has mentioned the fact that one of the victims was checked into a motel as a possible lead. Weird. Alex goes to talk to the jailed doctor, and tries to play to his ego. It doesn't work, and he wants a deal before he'll help. Alex dismisses this, pointing out that it couldn't possibly be a profit-based surgery, since if it had been, the killer would have taken more than the leg. Well, if you knew that, why did you wast a trip? So you could feel superior to a guy who's already in prison? Is that seriously a good use of your time? Then Alex wants to leave on a zinger, and winds up winning her second Prentiss Award! He didn't lose his degree, Alex, he lost his license to practice medicine. He still earned that M.D., and has as much right to call himself doctor as you do with your PhD. After that wasted scene, we catch up with JJ and Reid, who have gone down to Juarez to examine the body, rather than having it shipped back to Albuquerque, for some reason. They notice a bore hole in the bottom of one of the leg bones. Could the killer be harvesting marrow? And is he trying to hide the fact that he's doing it by cutting off all subsequent legs above the knee, rather than below? Maybe we'll get some clue by watching Ray operate! First thing I noticed? He only bothered cuffing the right hand. I have no idea why. The team focuses on the bizarre tool marks made in the first corpse, and comes to an insane conclusion - perhaps the killer is trying to see if he can transplant entire legs! They don't have a solid basis for this guess, but it turns out to be right, as the latest victim hobbles his way into an emergency room, with the last victim's leg crudely attached to his own right stump! I could show the footage, but will not, because it's disgusting. Then we cut to the guy in the morgue - that's right, he's in the morgue. Even though his leg had only been cut off a short time ago, and the new one freshly attached, he has already succumbed to gangrene and sepsis. That's right, he was afflicted with some magical special kind of gangrene that can set in, infect the body, and then kill all in less than twelve hours. I'm confused, show, exactly how would this storyline have played out differently had this guy survived? Did you kill him off just to have a higher body count, even though it was scientifically sketchy? Also, they mention Reid's headaches, which he claims he hasn't had in months, ever since... he trails off, and Derek, infuriatingly, doesn't pursue it. They come to the conclusion that the doctor must be mad - since he obviously was once skilled enough to develop medical abilities, but now is so delusional that he thinks he's going to be able to graft half a leg onto a person. Profile time! It's a doctor with a god complex who can't admit his failure! Is that any use for the cops? Probably not. Then we see Ray at home, talking to his wife about how investors are demanding to see results, and he's frustrated by his inability to get the job done. His wife thinks he's still working on animals, though. This is going to lead to an awkward conversation. Over in the local PD's office, Garcia calls to let them know that there are plenty of wash-out doctors who 'fit the profile'. Although, since the profile is 'an arrogant doctor who won't seem to be working on anything suspicious', I'm not surprised. Isn't that almost every doctor? Reid finally makes a breakthrough when he recognizes the bit of plastic that was used to connect the two leg-parts as the kind of thing employed to reassemble dismembered corpses. An interview at a local funeral home confirms it - Ray is probably a trained mortician! Their profile would seem to have been completely invalidated just two scenes after giving it! Is that some kind of a record? Why, it's almost as if they didn't need to bother assembling all of those cops together in a room for half an hour at all! They talk to the survivor about any place he might have come in contact with any medical personnel - how could he have been targeted? The answer? He recently gave blood at a mobile ambulance/blood donation van! And at that very moment, two women are being abducted by Ray from a parking lot in that very same van! One scene later, one of the two women is dead in an alley. Apparently she died from blood loss, which is peculiar, since the killer has managed to prevent that 66 percent of the time up until now. How is he getting worse at this? 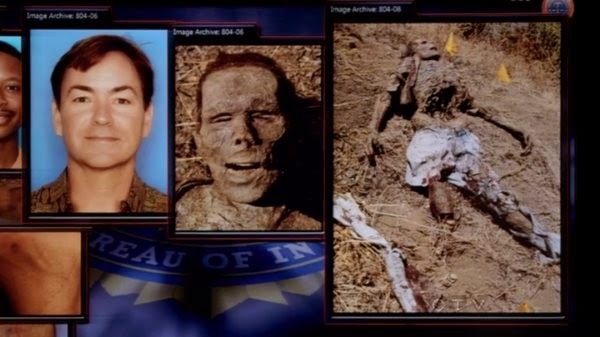 The teams also raises the possibility that the next victim might still be alive, seeing as only one body was dumped. Reid calls Garcia, who claims to still be going through mortician's records. She doesn't mention cross-referencing them with licensed phlebotomists or medical technicians though. Even if he's not legally allowed to run the donation van, you'd still have to buy a lot of very specific equipment to fake one, and that would have to be trackable, wouldn't it? Reid changes the subject, and asks where the closest payphone is. Obviously he thinks his lady friend can offer insight into the case! Garcia chides him for not just using a cell phone, but Reid refuses to explain himself, and asks for the location again. So he can't call her from something traceable? Or is this a Fight Club situation, and the headaches went away when he developed full-blown schizophrenia? Over at the hospital/garage, Ray wakes his latest victim to tell her that she's survived the surgery! So congratulations! He tells her that she'll be able to move in a couple of days, so now she should just relax until the donor for the other leg arrives! Oh Ray, you so crazy. Reid makes his phone call and then stands around waiting for his friend to call back. Alex decides she's not cool just dropping him off, and drives back to demand answers. He explains that he's calling a geneticist he knows for help, because she might have some insight. Alex says that he has access to 'four of the best minds I know' back at the station, so why go outside the group? This is hilarious not only because not only are those four geniuses wrong a lot, it's absurd that she's saying they should never have to look for external information on a case. Just this afternoon you went to a mortician for help, didn't you? The only strange thing happening here is the cell phone, Alex, let the rest of it go. She wants to know why Reid isn't using pronouns, and why he asked her for a ride. Reid admits there's a woman he wants to keep secret from the team, which isn't that shocking. Really, all of Alex's behaviour in this scene is kind of bizarre. 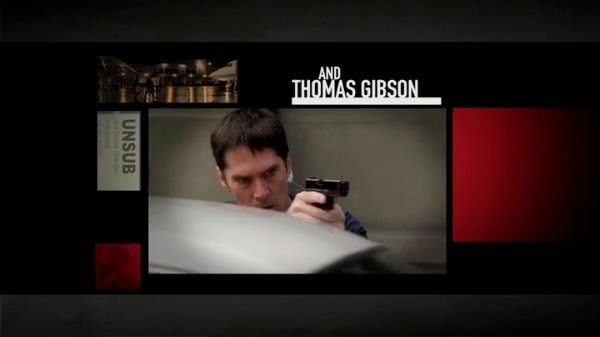 The whole team goes over the case - most of them together, Reid with his friend. They decide that the only reason he could be going to these lengths is if he has a personal cause - if he needed a new leg, or someone close to him did. Then Reid's Friend mentions that the case reminds her of Mengele, and his obsession with twins, who he performed many experiments on. Reid claims to have no idea why Mengele did that, and his Friend says that he wanted to find a way to get women to frequently have two children, to help repopulate Germany/grow an Aryan race faster. Not exactly great history there - yes, that's something he wanted to do, but his obsession with identical twins was focused more on having a control for experiments. Give one twin a disease/injury/unnecessary bit of surgery, then you can vivisect both and find out how a disease works by comparing a diseased body to a healthy(ish) version of the exact same body. What does her anecdote have to do with the case? Nothing! It's just her long-winded way of saying the killer probably had an important reason to do these experiments. Back at home, Ray is taking his one-legged wife to see the victim, who's busy escaping her bonds and grabbing a knife to use on them. How'd she get away? Turns out you can just pull the arm of the gurney you're handcuffed to right off if you struggle enough. Which also happened in the season premiere, come to think of it. Ray's wife is understandably freaked out to discover that her husband has been operating on people - but she's even more freaked out when the victim grabs her and holds a knife to her throat! Now it's time for computers to save the day! Garcia narrows down the list of morticians by who's married to a woman with a limb deformity caused by chicken pox. Luckily she can just violate everyone in America's medical records with a couple of keystrokes - but while she's doing that, I'll answer the 'why chicken pox' question. While going over the killer's M.O., they focused on the blood wagon and figured it had to be more important than just a perfect means of finding and abducting victims. Their conclusion? He wasn't testing for blood or tissue type compatibility, as you might imagine, but rather for traces of a disease that causes birth defects if the mother had it while pregnant - such as chicken pox. Presumably because he's under the impression that someone who's had chicken pox would be a better match for a wife whose physical deformity was caused by that in utero? Can we just pause for a second and marvel at the layers of assumptions that have to go into that guess? They're assuming it's a guy's wife with the deformity, not child or other close relative. They're assuming that he would make a really bad assumption about transplant logic. They're assuming that the cause of the deformity would necessarily be something that could be tested for in blood. And they're making all of these assumptions because they've started with the conclusion of why he's using a blood van, rather than the Occam's razor version of why he's using the blood van - it's a really great way to get people alone and kidnap them. Also, and maybe I'm just oversimplifying here, but you've known it was a mortician for a while. I know Albuquerque's a big place, but how many licensed morticians could there possibly be? According to Google the city only has six funeral homes. Eliminate the women and that's a nice tidy list. Narrow it down to people who aren't working for the past two weeks (what with all the murder), and it's even shorter. Did you really need all of this 'chicken pox' nonsense? Couldn't you have just checked out every mortician in town relatively quickly - finding one without an alibi couldn't be hard. Finding one who has a blood van would probably be even easier. Anyhoo, the amazing guesswork turns out to be entirely right, and the team is able to rush in and rescue the latest victim. Instead of just shooting Ray, they get his wife to talk him out of killing his victim. It works, and sadly the week ends with the murderer not shot to death. On the plane back, Derek wants to check with Reid about his mysterious behaviour. He thinks Reid should feel comfortable opening up to him. Which he should, given that they've worked together for nearly a decade. Then, back in DC, Reid suggests that he and his friend should talk more often, but she's reticent, and doesn't want his help. Especially since 'he' would hurt Reid if he knew! Gosh, they've got an odd relationship. Kind of, but it was pretty sci-fi. Sure you can make the assumption that it's someone with a personal stake in the crazy surgery, but beyond that, there's no realistic line to 'wife with chicken-pox-related deformity' offered by the show. An expert told them that their killer was a mortician. A survivor told them he was driving a blood van. There exist few more traceable vehicles than a blood van, real or fake. Especially when one was parked in a guy's suburban driveway. Get on it, coppers. Seriously, though - how did he get that guy into a motel room without anyone noticing? With regard to the finger off the trigger thing, cops are actually taught to keep their fingers off until they are certain that they should fire. This reduces the possibility of a miss-fire and is just good gun safety in general. That said, there really is no excuse for that after thought of a muzzle flash. Please, never stop making these! Thank you for keeping me eternally entertained! My big question is who are these mysterious financiers who are backing Ray's "medical research" in his garage without so much as checking it out to see if he's really spending their money on what he claims to be spending it on instead of, say, amputating healthy limbs and buying blood vans. If it makes you feel better, I'm from ABQ and there are lots of adobe walls around the city. It's a thing. Lots of houses are made from adobe as well. In this one particular instance, Criminal Minds was kind of accurate regarding location! 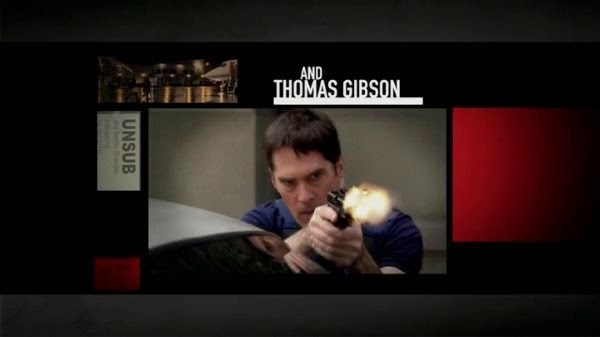 Criminal Minds - Season 7 Recap!